Online shopping has become more and more popular during recent years all over the world. There are several reasons why people switch to online shopping. It is a convenient and time-saving way of buying everything- from groceries to electronics devices. In addition, shopping online tends to be cheaper than other traditional ways of shopping. Nevertheless, many international students coming to Australia would find it a little bit difficult to find cheap deals online. If you think you are in such situation, take a look at some simple ways to save while you shop online here. The most important thing that you need to know to save money when you go shopping online in Australia is that you should always keep yourself informed. When there are promotions or discounts on the things you tend to buy, you should always know before making the final purchase. Sign up for the electronic newsletters of the online retailers: Most of the retailers which operate online have electronic newsletters. They send these newsletters on a frequent basis – weekly, monthly or even daily. When you sign up to receive these letters, you will be updated with information on these retailers’ newest deals and offers. Not to mention that many websites would offer you a welcome code when you sign up for these newsletters or open an account to shop online with them. This code can give you a discount for your purchase. Some of them are very generous. For example, if you sign up for an account or newsletters on SurfStitch, you will receive $20 off your first order given it is over $100 (which means 20 % off). When signing up for newsletters on The Iconic, you will receive $10 off on order of more than $50. Other sites such as EziBuy or Get Wines Direct offer discount with no minimum spend. Follow the online retailers’ social media page. You can either like or follow the FaceBook pages of your favourite online retailer brands. You can also follow their Twitter or Instagram accounts. Many online retailers are super active on their social media pages. They will post status and posts about their current promotions. Newsletters tend to inform you about the deals that would be running for a week or so. On the other hand, FaceBook and Twitter are the preferred channels in term of updating about flash sales. These promotions might not be updated on other channels. Some coupons and vouchers do not only give you a discounted price on a wide range of products, they also offer free shipping as well. When you go shopping for something which is at a full price, you should search for a voucher or a coupon code at the online shop that you want to buy the product from. You can search for such things by searching Google and other coupon sites. A particular app which is helpful for you is the PokitPal. This is the free mobile voucher app. When you install this app on your phone, it would help to connect you with deals and promotions from more than 5000 locations in Australia. In addition, some stores, both online and physical stores, offer discounts for students. If you show your student card or register your student status through UNiDAYS, you can get a discount for everything on the bill or on full price items. For example, when you show your UNiDAYS student promo code at the checkout from Sephora, you will get a discount of 10% of the total bill. Some coupons and vouchers can be combined together such as discounts and free shipping. You should always combine them to make sure you can save as much as possible. Shopping online is a brilliant way for you to compare the price of an item among various online retailers. Unlike when you go shopping at physical stores, you have to go from one to another store if you want to check the price. That will surely take you a lot of time and effort. However, when you shop online, you can do this task in just a few clicks. Hence, you should always do so. You can go directly to the sites of the online retailers that you visit most frequently. You can also go to some websites that help to compare the prices of many things on many other sites for you. You can easily see a product with prices from low to high for your consideration. Many sites might compare their prices with the RRP (Recommended Retail Price). However, the RRP is a fictitious value (hence the word “recommended”). You should always compare the price of an item from one store against the price of that item from other sites. If low price is your top concern, using websites to compare prices will make your shipping trip more much convenient and enjoyable. One of the main problems that many students will agree on is that the shipping fees in Australia are relatively high. Sometimes, they are so high that shipping from another country to Australia is at the same price, or even cheaper. There are many international retailers which start shipping their products to Australia. And they often offer many attractive deals and discounts, which you possibly can’t find in online retailers operating Australia. You can look out for huge events such as Black Friday or Cyber Monday. On these events, the USA online retailers offer many discounts that you can’t find at other times of the year. They are worth seeking for, which can make up for the international shipping fees. If games, electronics, and gadgets are your things, you really should consider this tactic. There are many things that you might forget to check out when you like to buy something so much. But there is one thing that you need to always check, especially when you shop online. This is the returns policy. Different online stores would have different returns policies. Some might allow you to return in a certain amount of time, given that some conditions are met. Some might offer a gift card in exchange for cash in hand. In addition, some items can be returned while some can only be exchanged. If you buy something online, make sure you can return it. Think about buying clothing and shoes. If you buy a pair of shoes which is too big, it will be costly if you can’t return it. In addition, check how you can return your unwanted goods. With big chain with a lot of stores all over Australia, you can return it in stores. However, if you have to return by post, check how much it will cost you to do so. Since the postage fees can be expensive, always choose to shop with an online retailer which offers you free return. Enter Some Competitions: Some online retailers offer mini-games for giveaway gifts or vouchers. All you have to do might include entering your personal information or answering a few questions. They don’t take much of your time. And you can save a lot if you win. Buy A Lot: One way to save on the shipping fee is spending a certain amount of money set by the online retailers. For example, if you buy more than $50, you can have free standard shipping. If you don’t want to buy a lot, you can ask other people to shop on the same site. Create A List: When you start going shopping online, you should make a list of what you need to buy. Follow the list until you have all of the things that you need. And then you can avoid buying what you need at all. Be Careful: Sometimes, you need to be very careful when an item you are looking for in a certain website is way much cheaper than the deals you can get from other sites. There is a good chance that this deal can be sour. Hence, you should always shop at reputational and trustworthy sites. Many people might find that shopping online in Australia isn’t as cheap as they might expect. That is because you don’t know how to make the most use of promotions, deals, and vouchers. 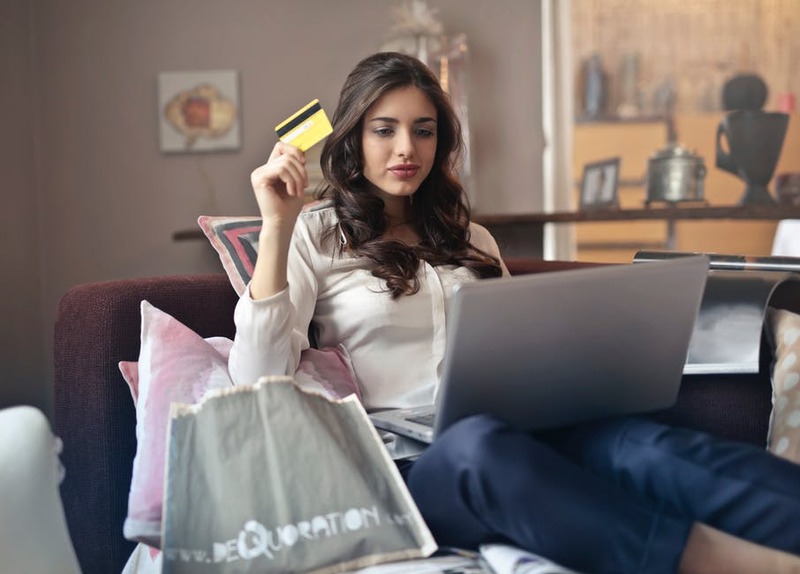 There are several ways you can use to save money when you shop online such as finding deals in other countries or enter some competitions. I hope that with all of the tips above, you can enjoy the convenience as well as the ease of online shopping at the minimum expense.